AMSTERDAM, REUTERS: Dutch authorities will hold Swiss shipping line MSC liable for the cost of cleaning up debris from more than 270 cargo containers that fell off one of its vessels and washed up on shore, officials said on Friday. The Dutch coastguard said a criminal investigation had been launched by prosecutors into the incident, one of the largest of its kind off the coast of the Netherlands. 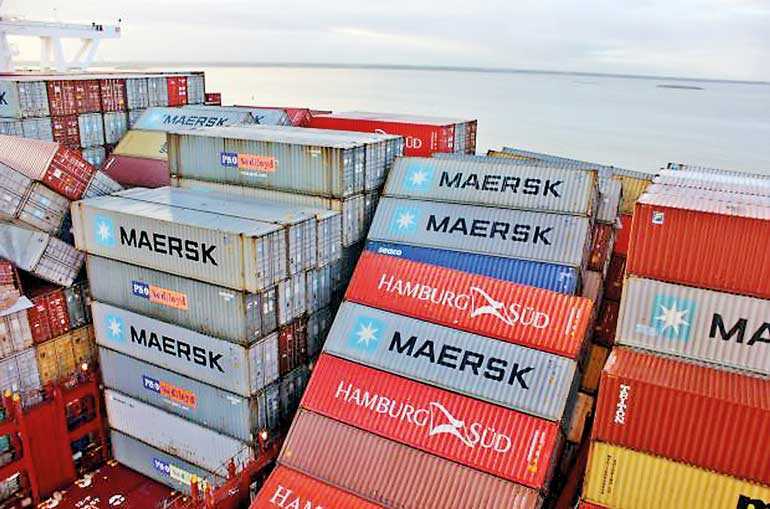 The containers, some holding hazardous chemicals, fell off one of the world’s largest container ships, the MSC Zoe, during a North Sea storm on Wednesday in German waters near the island of Borkum. Roughly 35 containers have been located and the remainder were lost at sea, Water Management Minister Cora van Nieuwenhuizen wrote in a letter to parliament. “Those responsible (MSC) will be held liable,” she wrote. Among the lost goods were car parts, refrigerators, toys and furniture, she wrote. “Several containers of hazardous materials were onboard. It is unclear how many fell off,” it said. At least one container load of organic peroxide, a strong bleaching agent that can cause injury on contact with skin, was lost, the letter said. Residents were told not to touch 25-kg bags found on the shore. Germany is pushing for the adoption of global rules mandating transmitters on shipping containers, especially for dangerous goods, Norbert Brackmann, Germany’s maritime business coordinator, told the Neue Osnabruecker Zeitung newspaper. But he added that it could take several years before the 170 members of the International Maritime Organisation agree on such a step. Prosecutors said in a statement sent to Reuters that a joint investigation with Maritime Police would focus on “whether the damage caused is the result of criminal acts,” possibly in violation of the anti-pollution laws for seagoing vessels. “It will consider whether we can hold someone - and if so who - responsible for the pollution,” it said. Tineke Schokker, the mayor of Vlieland, one of the Wadden Islands, said she and four other mayors sent letters to MSC demanding that costs be covered. Debris continued to wash up on Friday, she said, posing a threat to flora and fauna. “They need to remove this as quickly as possible because the longer it’s here the more damage it does,” she said told Reuters. “We have decided to collectively pass on the costs to the shipping company.” It was not clear if there would be lasting environmental damage to the area, a vast expanse of tidal flats and wetlands known for its rich biological diversity. Roughly 100 soldiers have joined the clean-up operation. Local authorities and volunteers have already gathered up tonnes of waste from several kilometres (miles) of coastline. A statement from MSC on Friday said it was “directly taking over more of the clean-up” and working with salvage companies.